The Historic Santa Fe Foundation is currently accepting applications for the 2019 Faith and John Gaw Meem Preservation Trades Internship. The 10-week program begins June 17, 2019 in Santa Fe, New Mexico. 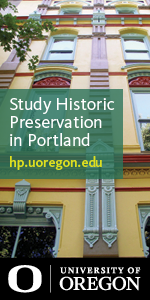 It permits a qualified student working in architecture, planning, design, or a similar field to gain hands-on experience in the theory and practice of preservation by working with foundation board members and staff. The program began in 2005. 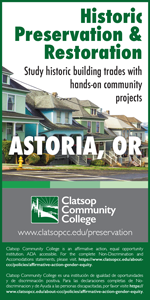 Past interns have been students or alumni of institutions including the University of New Mexico, Belmont College, Columbia University, the historic preservation and restoration program at Clatsop Community College and USC. The Historic Santa Fe Foundation (HSFF) is an organization that has contributed to the preservation and knowledge of the city since its founding in 1961. Our mission is to preserve, protect and promote the historic properties and diverse cultural heritage of the Santa Fe area, and to educate the public about Santa Fe's history and the importance of preservation. 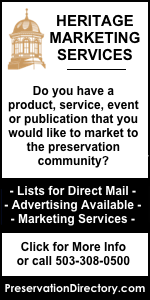 Preservation trades training – hands-on adobe work, carpentry, window restoration, etc. 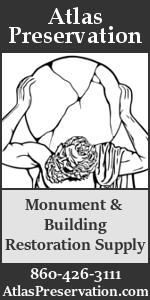 Priority is given to applicants who are currently admitted to, enrolled in or recently graduated from a college-level preservation program; have prior experience in construction; wish to gain experience in preservation trades; and ideally have basic skills in carpentry, masonry and related trades; and own their own tools. Intern must be available for ten weeks starting June 17, 2019.
within Santa Fe while in the program, with mileage compensation for travel to and from work sites.